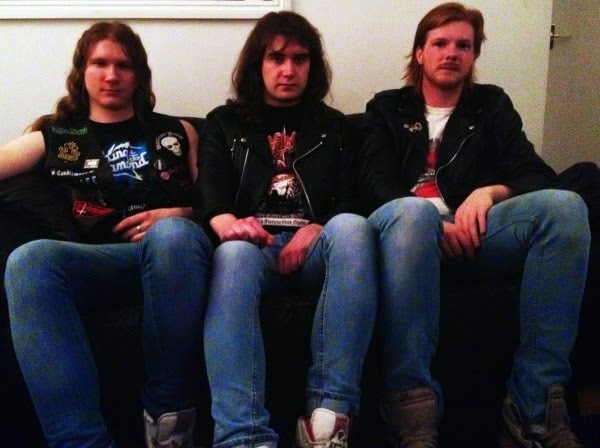 A new band has been forged from the undying influence of the NWOBHM movement! 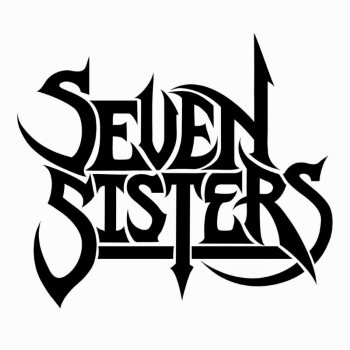 With the very recent release of their first official track “No Guts, No Glory”, UK metallers Seven Sisters have surely graced the heavy metal world, and fans alike have without a doubt welcomed them with open arms. What immediately struck me about Seven Sisters is their vocalist, Josh Winnard, who, is better known for his work with other notable acts within the underground heavy metal scene, such as Wytch Hazel and Dark Forest; both of which have released, in my eyes, some of the greatest records in recent years. I have nothing but my utmost praise for both of these bands, so you guys already know were in for a treat with Seven Sister‘s debut track! Having already left their mark on heavy metal soil, Winnard, McNeill and Farmer expand their musical horizons by completely devoting their sound to worshipping the glory days of the NWOBHM. With “No Guts, No Glory”, it becomes clear that Seven Sisters have so naturally perfected that very sound and atmosphere, of which they personally add their own magic to it, be it through Winnard’s enticing and recognizable vocals, or McNeill and Farmer’s harmonious leads that complement the medieval tone of the lyrics (by the way, that solo near the end of the song is compelling as hell). Truth be told, heavy metal and lyrics revolved around battles and warriors might seem a bit cliché to the avid listener. However, Seven Sisters are able to transform that cliche into a natural heavy metal anthem, as heard through the lyrics of the track’s chorus: “The time has come to rise”! And indeed the time has come to support this band! For all you maniacs who would like to hear more Seven Sisters material, be sure to check them out on Facebook to keep yourselves up to date. Also, the band is expecting to release a demo tape sometime in July, and it would be more than appreciated if you can do what you can to purchase it when the time comes! Music like this deserves our endless support (and money of course), in an attempt to keep the spirit of the new generation of British heavy metal alive.